Do you think you’re a multi-tasker? Back when my husband was young enough to wear short pants, his mother used to do the family ironing while talking to her mother-in-law, Phoebe, on the phone. I never knew Phoebe -– she’d died before I’d even met my husband –- but over the years the story has become as finely polished as a white linen tablecloth that’s been ironed for several decades. Phoebe was a talker and according to family legend my MIL could just say “hmmm” or “yes?” or “really!” every few minutes and that was more than enough to support her own end of the conversation. In fact, she could lay the phone down on the ironing board and walk to pour herself a cup of tea without Phoebe noticing her absence. 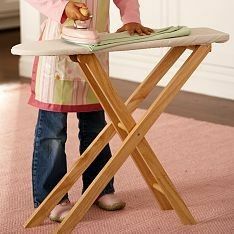 People don’t iron much any more, and I’m guessing you probably don’t either, but let me ask you this: Do you ever use the word “multi-tasker?” I know I used to and I would have called my MIL’s ironing a perfect example of it. But here’s the funny thing: Humans are not actually capable of multi-tasking. If you think about it you’ll realize that no one really does more than one task at a time. Instead, we switch tasks –- even though we may do this exceptionally rapidly -– just as my MIL quickly switched between ironing and talking to her own MIL. It will take you more time to finish a task if you switch between it and another job than if you just do one job at a time. You will make more errors if you switch between tasks than if you do one at a time. If the task you are doing is complicated, then the time and error penalties increase. If you do a lot of task-switching in a day you can lose up to 40% of your productive time. So what does this have to do with writing? Well, there are some pretty obvious task-switching habits that most writers indulge in: Here, I’m thinking about checking email, FaceBook, Twitter and surfing the Internet. I think we all recognize these tasks slow our writing and if we don’t try to avoid them (as we should) at least we feel guilty about indulging in them. But there’s one task-switching manouevre that I consider the mother-in-law of all switches/distractions. And that is editing while you write. For most of us, it feels “normal” to self-edit while writing and weird and uncomfortable to let the words spill out of us willy-nilly without stopping to fix the mistakes. We resist the idea that we might sound silly or unedited -– even to ourselves and even if we know we’ll have the chance to edit later. But we should at least be conscious of what we’re doing! Then, we should try to stop it. I suggest turning off your monitor (or covering it with a dishcloth) if you are truly addicted to editing while you write. I know I broke my own edit-while-I-write habit this way, although I still stumble from time to time, as I did today. Just remember that your writing requires more attention than Phoebe did. And if you do it the honour of giving it 100% of your attention as you write then you’ll not only write faster but the editing job you’ll face later will be much less daunting. Why? Because if you’re inclined to edit while you write, it’s probably because you find editing easier than writing. And, guess what? If you don’t do it right away, you’ve saved the best job for last!